I have had the fortune of receiving teachings from many teachers. In meditation instructions, a particular point where most instructions converge is the importance of keeping your mind still in the present moment. Hold onto that thought, because I will come back to it later. Have you ever considered how a camera functions? It’s an optical instrument that has a really complex mechanism, but I will try my best to explain it. To keep it simple, I will use a still camera as an example. 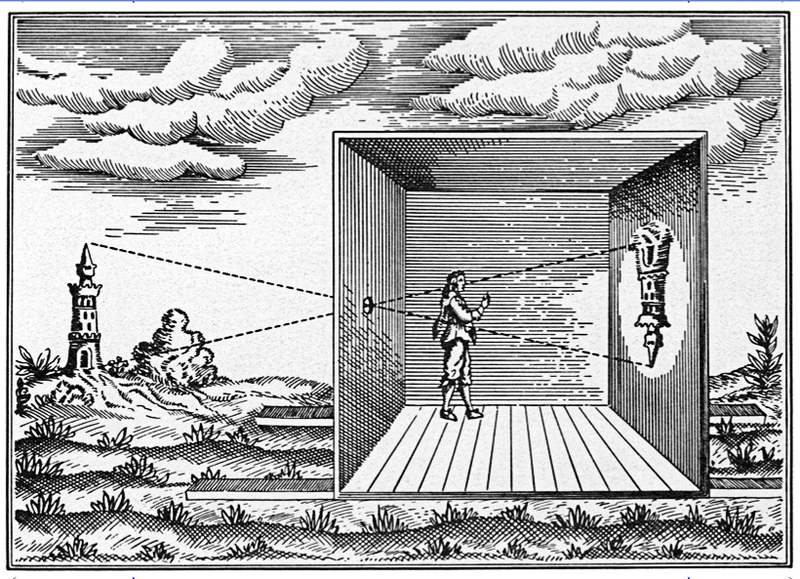 Light enters an enclosed box—the term camera comes from the Latin word camera, meaning “chamber,” an early mechanism for projecting images—and goes through the converging lens, and an image is recorded on a light-sensitive medium. In digital cameras, the medium is a sensor, whereas on a film camera, it is the very film itself. The shutter is also an important component in a camera. It controls the length of time that light can enter the camera. It allows light to pass through for a determined period of time, exposing photographic film or a sensor to light in order to capture a permanent image of a scene. When a photographer sees an event of interest, he or she points the camera toward the desired scene, appropriates the event by framing the scene, and then clicks the button. The shutter sounds “click!” An image is stored in the device, an image of a split second of physical reality that was taking place before the photographer’s eyes. Every time anyone flips out a smart phone and takes a snap, this happens. Perhaps this sounds dramatic, but I find it fascinating. If you are not intrigued, to say the least, I bet you must be one-third dead. As usual, I was scrolling through my Facebook newsfeed today, when I came across some of the soon-to-be-exhibited images created by photographer Tokpa Korlo. Looking at the images, a series of vivid visuals ran through my mind. Memories of the events Tokpa had photographed projected crisp and fresh images before my mental eye. With that, all other associated memories ensued successively. For a moment, I began associating myself with these mental images just as an audience does while watching a movie. I looked at a particular image again, really closely this time, and a thought popped up. I am actually seeing the representation of the split second of the physical reality this image has captured—or am I? Time is a succession of moments. With his astute senses, Tokpa pointed his camera at the scene and clicked the button at a precise moment, capturing the arrangement of lights at that given moment. The camera understood the light in its digital language and stored it in the arrangement of 0s and 1s. What I am seeing, which is a seemingly simple photograph, is essentially an intricate arrangement that represents a moment in time. While seeing the images, I wandered away from their true quality, their stillness. The still somehow set my mind in motion, and I was not seeing what was before me, a still image. That’s it. What arose shortly after was a relaxed mind looking at meaningful images, to say the least. Thank you, Tokpa! Best wishes. While I’m on this topic, the parallel between camera instruments, with their intricate mechanism for capturing an image, and the anatomy and mechanism of the human eye, is quite remarkable. What we do with what we see, and how we let that affect us, is a different question altogether. Nevertheless, examining the complexity and intricacy of a camera’s mechanism, and likewise exploring mental processes, are both meaningful activities, I think. Here is an interesting video in that regard. Triggered by seeing Tokpa’s images, I felt compelled to write this. Any Facebook friends wishing to translate this essay into other languages, you have my consent and gratitude. Also, feel free to share your thoughts and photographs!